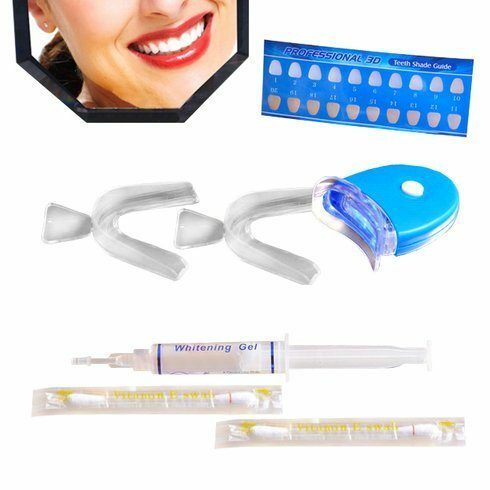 Professional 3D Teeth-Whitening Kit Only $8.99 Plus FREE Shipping! You are here: Home / Great Deals / Professional 3D Teeth-Whitening Kit Only $8.99 Plus FREE Shipping! Get a bright and beautiful smile with this convenient professional 4D at-home whitening kit! The Professional 3D Teeth-Whitening Kit Only for $8.99 Plus FREE Shipping gives quick results with the same strength gel as used by dental professionals and an LED light that speeds up whitening!